“The exploration of lunar poles is a significant innovation in human history, which has drawn great attention from around the world. 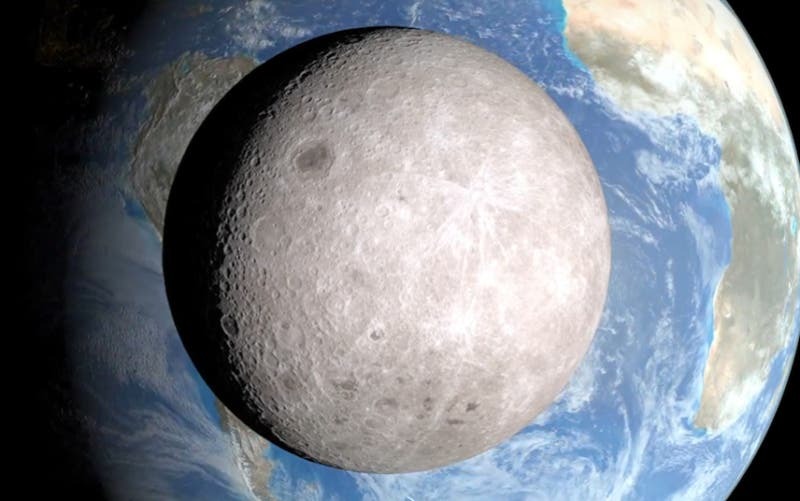 It will also lay a solid foundation for deeper and more accurate Moon probes in the future,” siad Tian Yulong, chief engineer at SASTIND, The State Administration for Science, Technology and Industry for National Defence. The ambitious and complex Chang’e-6 mission is part of wider plans outlined for the exploration of the Moon which will follow on from the original three-stage Chinese Lunar Exploration Project (CLEP). China is moving forward with plans to launch an unprecedented attempt to collect samples from the far side of the Moon in 2020, as well as future polar missions, following a meeting of top lunar scientists and space officials in Beijing, at the SASTINDs first expert committee meeting, which included top lunar project officials Wu Weiren and Ye Peijian, to discuss the scientific objectives and implementation of the expanded plans in late April (Chinese). If the Chang’e-5 mission succeeds in bringing lunar samples back to Earth, Chang’e-6 – the designated backup spacecraft – will then be tasked with the scientific and exploration first of retrieving material from the far side of the Moon, which is not visible to Earth due to ‘tidal locking’, meaning tracking and communicating with the probe directly is not possible. Guiding a landing on the lunar far side will be a communications relay satellite, stationed in a halo orbit around the second Earth-Moon Lagrange Point beyond the Moon. Chang’e-6 would follow the first ever landing on the far side of the Moon by the Chang’e-4 lander and rover mission, scheduled for late 2018, and would likely also target the scientifically significant South Pole-Aitken Basin. The Chang’e 4 mission could eventually lead to the placement of a radio telescope for use by astronomers, something that would help “fill a void” in man’s knowledge of the universe, according to Zou Yongliao with the Chinese Academy of Sciences’ moon exploration department during a September 2015 interview on state broadcaster CCTV. Probes to both lunar poles are also being developed for the early-to-mid 2020s, which tentatively involve surface exploration, resource development and related technology validation. The European Space Agency (ESA), has been discussing cooperation in and coordination of lunar exploration plans with China as part of ESA’s ‘Moon Village’ concept. Such a declaration could only realistically come after success of China’s first, near-side lunar sample return mission, Chang’e-5, which will launch on a Long March 5 heavy lift rocket from Wenchang in November. Chinese Lunar Exploration Project (CLEP) has so far involved two orbiters in a four-part probe that involves orbiting, landing, collecting samples, ascending to lunar orbit, rendezvous and docking in orbit, high-speed return to Earth and a skip reentry into the atmosphere. 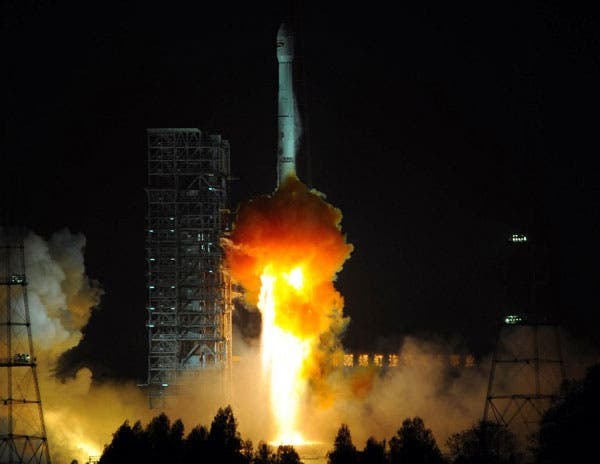 The successful launch has propelled China to the forefront of the world in terms of rocket carrying capacity, and marks a milestone in China’s transition from a major player in space to a major power in space. Long March-5 is a two-stage rocket with a payload capacity of 25 metric tons to low-Earth orbit (LEO) and 14 metric tons to geostationary transfer orbit (GTO). The largest of China’s carrier rockets, Long March 5 payload capacity is 2.5 times that of the current main model Long March carrier rocket. The new rocket is 57 meters long. It has a takeoff weight of 870 metric tons and a thrust of 1,060 metric tons. It is powered by eight liquid oxygen/kerosene rocket engines in four strap-on boosters: two liquid hydrogen/liquid oxygen engines in the first stage and two relatively small liquid hydrogen/liquid oxygen engines in the second stage. Following the launch, Tian Yulong, chief engineer of the SASTIND, said confirmed that China is now developing a mega rocket with a payload capacity of 100 metric tons LEO, which will be used for manned Moon landings and deep space exploration, will probably make its maiden flight before 2030. The mega rocket, which was first revealed last June, will measure over 100 meters in length and will have a maximum payload capacity more than five times heavier than the current Long March series rockets.